Welcome to Harger's Resource Library. We have assembled a filterable collection of brochures, line cards, literature, and news articles for your informational needs. Please contact us if you have any questions. 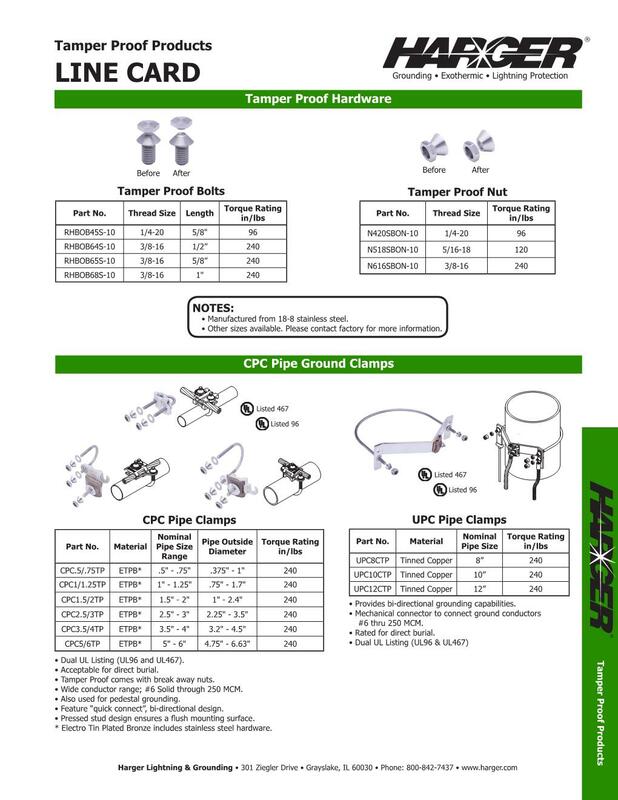 Create the perfect connection with Harger's 5 steps to an exothermic connection. In this video, from our Harger University Series, we demonstrate how easy it is to make a PT connection using UltraShot. This video discusses Harger's line of tamper resistant bonding products. Our DRONE™ is an innovative electronic ignition system, the two button ignition method provides a safety factor not found in other systems. In this Harger video, we demonstrate making a GS, GD & GO exothermic connection utilizing the Drone ignition system. Compression lugs are a staple in telecommunications grounding and bonding. 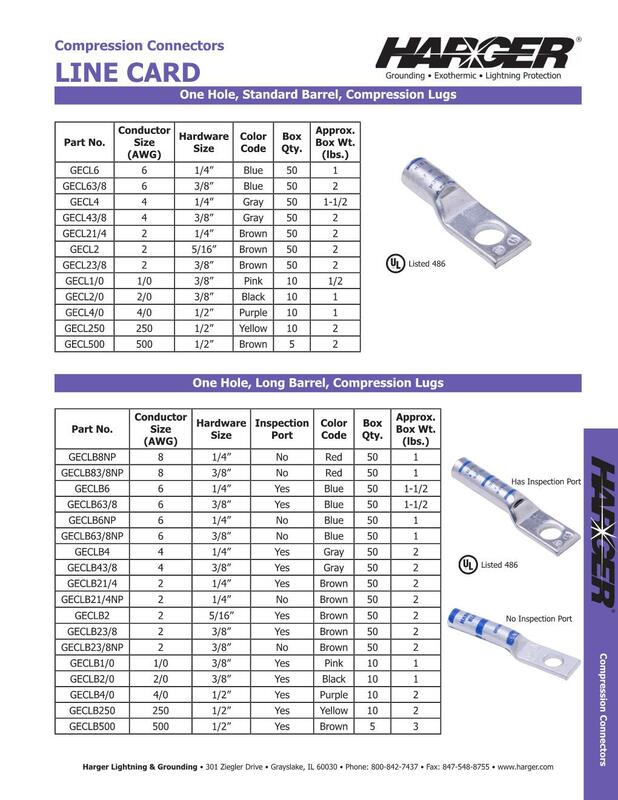 Use this guide to find the correct lug for your application. Tamper resistant nuts and bolts can turn any mechanical connection into a permanent, theft deterred connection. Sign up for our newsletter to receive the latest industry news and product updates.